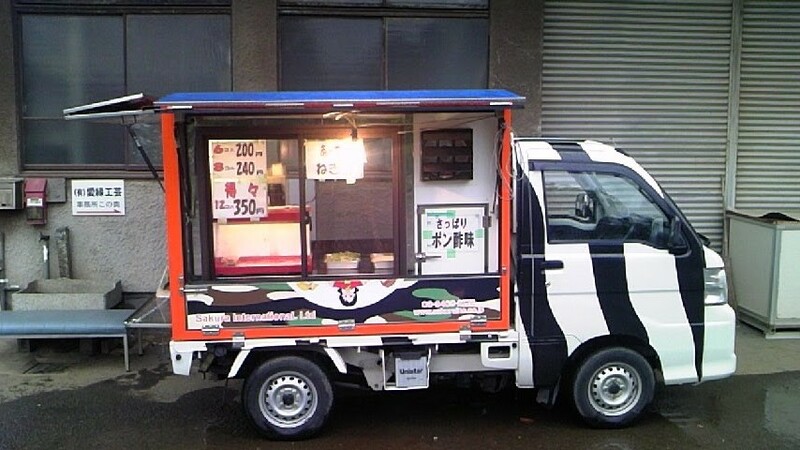 Japanese Food Trucks are called “mobile retail vehicles” (移動販売車), or “kitchen cars” (キッチンカー), Japanese food trucks can be found at events and industrial areas all around the country. Japanese food trucks can be seen serving up more traditional Japanese food such as “Takoyaki” (octopus balls), “Yakitori” (grilled chicken) or “Yakiimo” (roasted sweet potato) or foreign food such as Kebabs, Mexican style tacos, or Coffee and sandwiches. Oftentimes, Japanese food trucks are decorated based on type of food and to stand out to draw more customers. This article takes a closer look at the Japanese food trucks based on Kei (660cc) trucks, how they are constructed and what the costs are and equipment are involved. 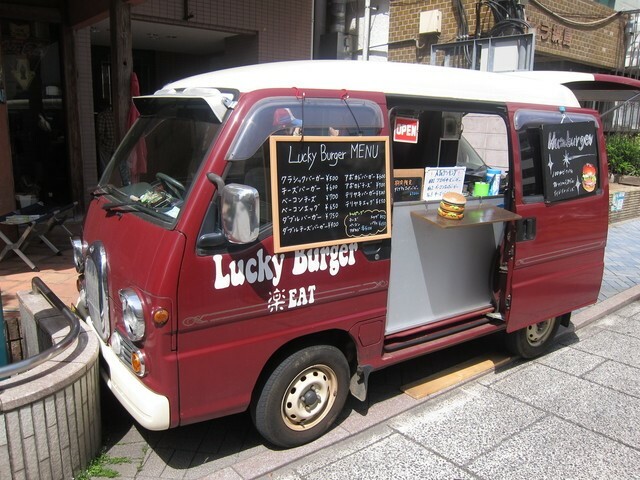 Japanese food trucks can be based on any vehicle, including larger trucks and vans such as the Mitsubishi Delica, however the most popular base is the kei truck. The kei truck based food truck takes up less space when parked, costs less to operate, maintain and for road taxes, and there is more than enough space for Japanese restaurateurs who specialize in one or two dishes. After a suitable truck is bought, the truck is stripped of its original gates. A box can be ordered from any number of specialized manufacturers that create boxes out of a combination of steel, stainless steel and plastic parts. Windows are usually installed on the back and one of the sides. The panels that cover the window are held up in place by gas filled shocks and act as a shade or umbrella for your customers. The interior on some of the bigger boxes are tall enough for people 6’ or shorter. 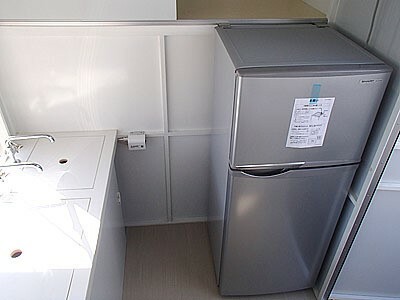 On the inside, there is usually a sink, which can be covered to increase counter space. Fresh water can be connected to outside plumbing, but is usually run off of storage tanks that are either placed high and are gravity fed or placed low and pressurized by an electric pump. Waste water is stored in separate storage tanks underneath the sink. An inverter is required to power the water pump and other accessories, as well as a fridge, and electric fan to ventilate the kitchen area. For foods that require heat, the trucks will have propane tanks connected to a burner or two. 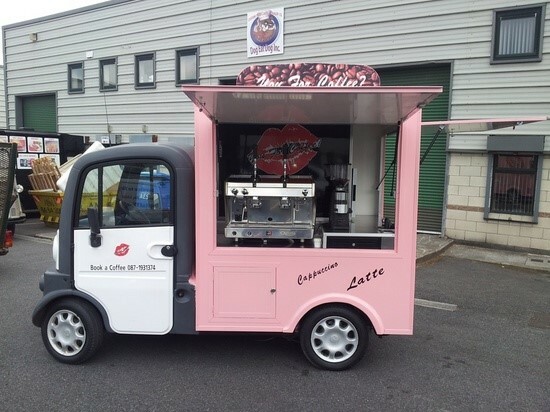 The truck can then be painted, decorated, or more recently, vinyl wrapped to show people passing by, what delicious foods are being served out of the truck. Other modifications such as wheels and changing the grill can give the truck a rustic or urban feel to match your target clientele. 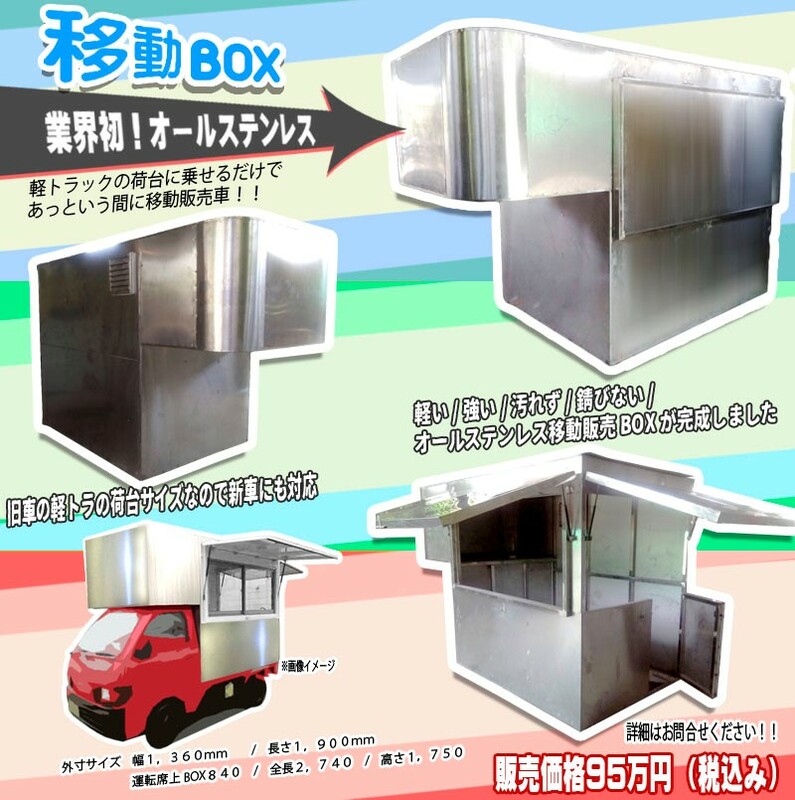 Although prices differ based on manufacturer, expect to pay around 3,000,000 Yen for a fully painted, fully equipped and ready to operate Food truck (includes the cost of a new kei truck). For those who want the more hands on approach, the box attachment can be bought separately starting at around 500,000 Yen for a no frills box. 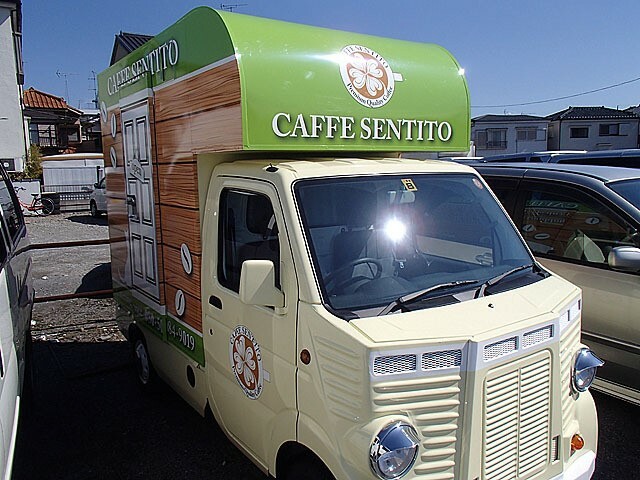 At Japan Car Direct, we can help you find, buy and export a kei food truck or any other vehicle to your country! Please contact us for any JDM import needs!